Lugo took advantage of the tranquility with which the sixth placed in the league jumped into the field and Aitor had to shine for the first time to deflect two shots by Juan Muñíz and Bernardo as soon as the referee started the match. The replica tried to give Coke and Vukcevic , but it was Borja Mayoral who stood before the goal Lucense to miss the best chance Levantinista. The ball circulated from area to area without any team managing to send it to the back of the net . And so the script of the second part continued. 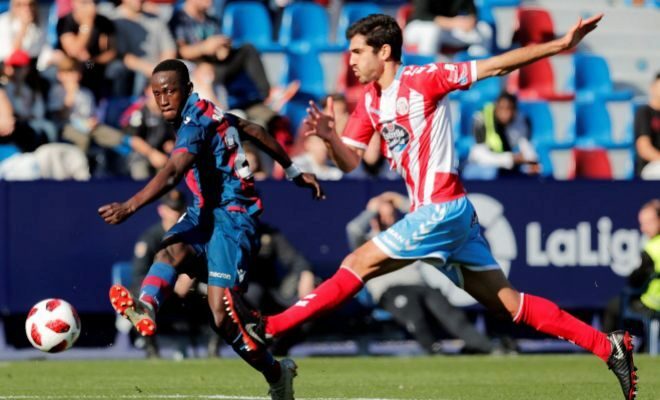 The second unit of Levante, with Vukcevic or Prcic, could not beat Varo. Even Boateng missed a point-blank header. However, the errors were no longer tolerated when Campdabal was about to leave Levante out of the Cup . The side caught a perfect ball on the counterattack, but shot Aitor's body. It was the moment in which Paco López decided to move the bench and gave entrance to Campaña and Jason , two concerns that excessive results for the Lugo. His chance was buried when Coke headed a corner kick with ten minutes left . They turned the Galicians looking for a goal that forced the extension but, this time yes, Dwamena hit the empty door taking advantage that Varo had gone up to finish off a corner to close the pass to the round of 16. No brilliance, but with trade.